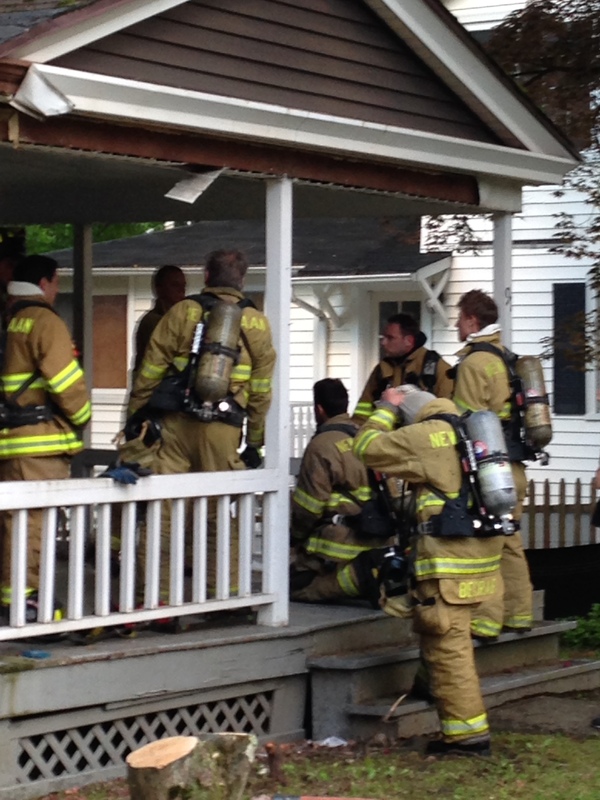 Fire Attack team of Firefighters Becraft (nozzle), Trimbach, LaBonte and Garbus plan to make entry. 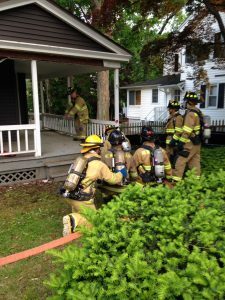 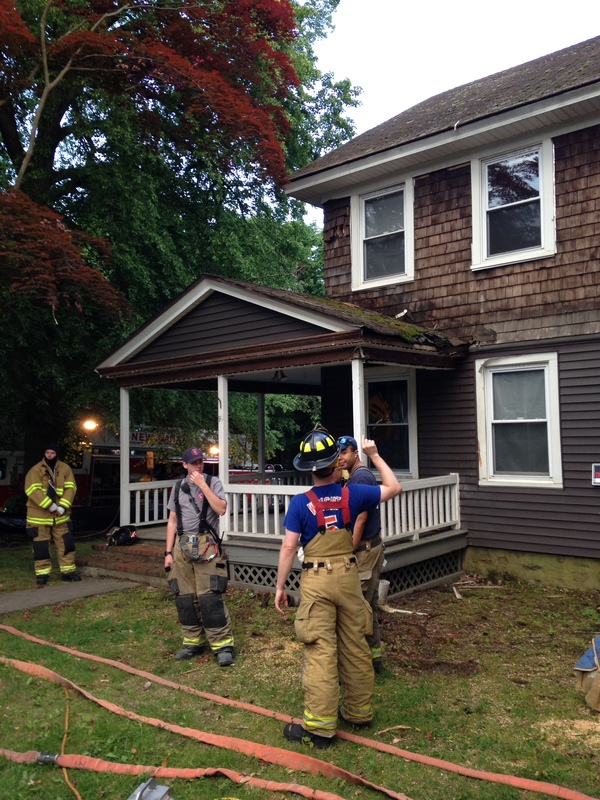 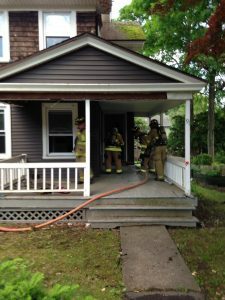 On Thursday June 5th 2014 members of the New Canaan Fire Company had the great opportunity to train at a home at 93 East Avenue that was scheduled for demolition. Firefighters trained on search, rescue, fire attack and ventilation. 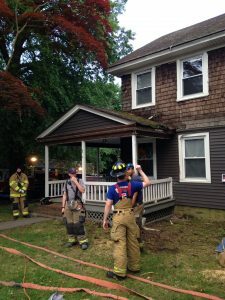 As homes like this are usually torn down within days of receiving the approval of demolition, being able to utilize these houses to get quality hands on training is something that members always jump at the chance for.